Why partner with Ssejinja Children´s Foundation? 85% of Americans indicated when deciding to do business with a company. They liked a company who is committed to a social issue in their local community. 81% of Americans indicated it affects their decision on where to work. 74% would recommend the companies products and services to other people. 70% look at inventing in stocks and mutual funds of the company. Children´s issues rank among the top cause with Americans. 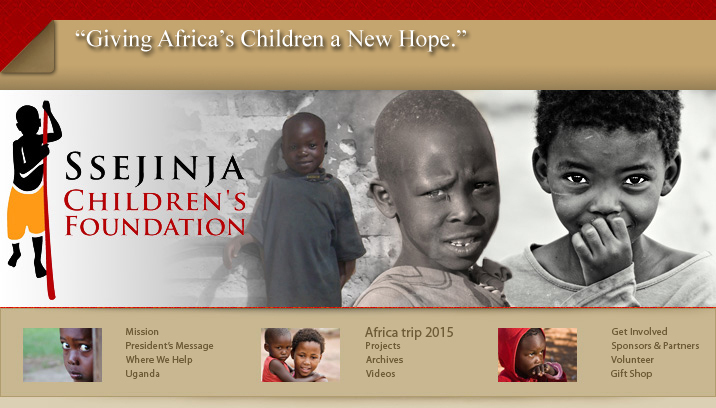 Compelling Cause: Helping children in need. Direct Donations:: Companies can make contributions for any amount to support our mission or to a specific program or cause. Gift-in-Kind: Companies can donate products or services to support our mission in saving these children. Employee Involvement: Through sponsorship, matching gift or payroll deduction programs, children in need benefit. At the same time, the companies public relations and employee involvement are greatly enhanced. What makes a successful partnership? The need for strong internal support. The need to set clear business strategies. Effective use of internal systems of support. Objectives that will engage employees and consumers alike. Building a bridge of communications internal and external, with the Foundation´ s initiatives. Donate now, to help us accomplish our mission in Africa.